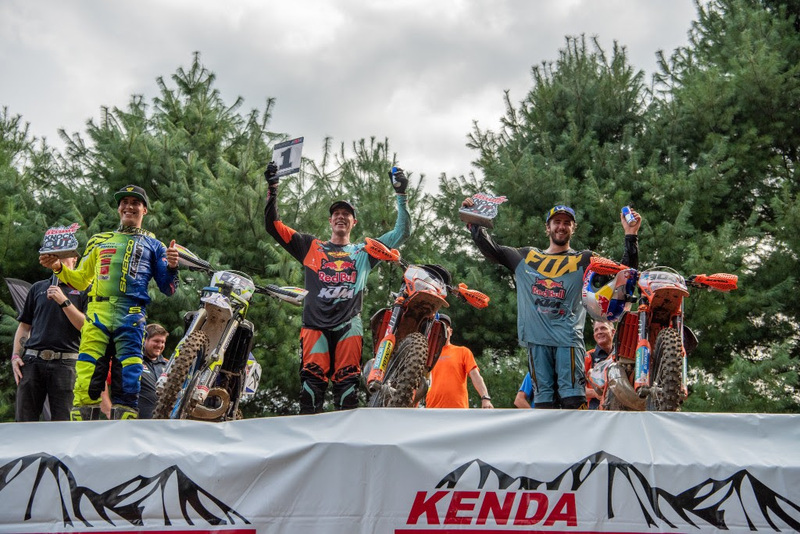 FMF KTM Factory Racing-backed Cody Webb (@codywebb2) won his sixth straight Kenda Tennessee Knockout despite a recent injury and stacked field of talented riders from around the world. After four rounds of racing that added up to nearly three hours, Germany’s Manuel “Manni” Lettenbichler (@m_letti304) finished second on a KTM and Spain’s Mario Roman (@marioroman74) rounded out the podium on his Sherco. 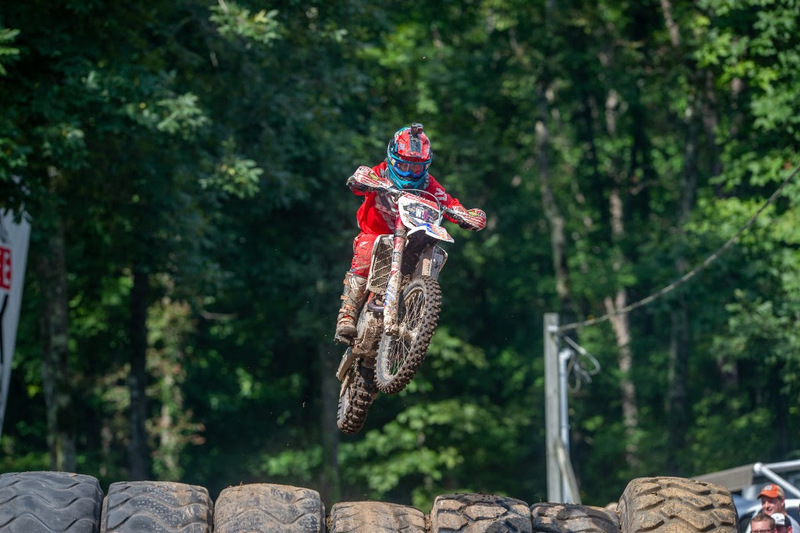 The multi-round Tennessee Knockout started with 262 Amateur entries competing on Saturday in a two-race format that allowed the top thirty riders to move forward to compete in the four round Sunday competition that included thirty-one pre-qualified pro riders. 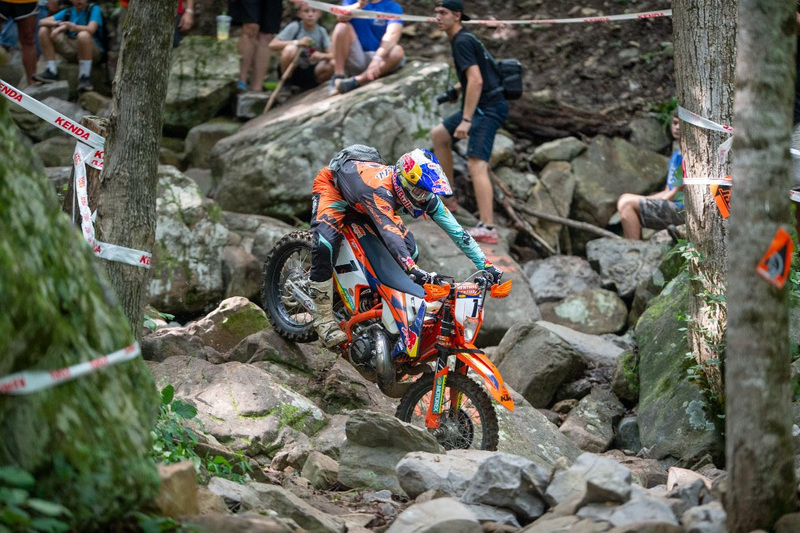 That pre-qualified list included the top North American and International Extreme Enduro racers. 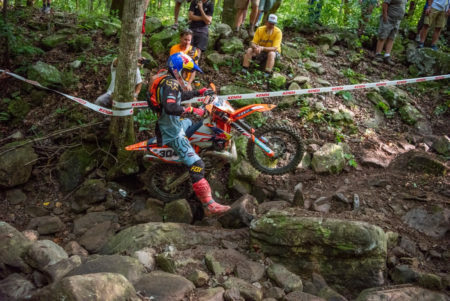 Hawaii’s Kekoa Estrella took the Amateur win to earn the AMA Amateur Extreme Enduro Grand National Championship and move forward to Sunday. The Sunday morning program started with a Hot Lap on a mile long “short course” and Webb started the day off with a 4:33 lap to earn the first starting position for the next Knockout round. Wade Young, the 2018 Red Bull Romaniacs winner, set the second fastest time at 4:43. Lettenbichler got off to a good start with the third fastest time at 5:12. Roman had the fourth fastest time at 5:26. Husqvarna’s Colton Haaker was rounded the time five with a 6:06 lap. The second round sent the riders out on a fourteen-mile loop in thirty second intervals, based on the hot lap times. Young and Lettenbichler erased their gaps to Webb and the three riders battled closely for several miles before Young finally opened the gap in the last few miles. Young set the fastest time at 1:08:54. Lettenbichler was second fastest at 1:09:30 and Webb was third at 1:10:20. Roman set the fourth fastest time at 1:15:47 and Austria’s Lars Enockl was fifth at 1:19:57. Only the fastest twenty-six riders moved on to round three and the remaining riders were knocked out of the competition. Round three switched from the riders racing the track against the clock to a multi-rider head-to-head format. The fastest twenty-five riders were split into five groups of five and a 26th rider was added to group six as the LCQ alternate. The straight-line LCQ competition was not held due to race one taking longer than expected due to the difficult course. Haaker, Lettenbichler, Webb, Roman and Enockl won their respective groups to earn front row starting positions. The second and third place finishers in each group also moved on to the fifteen-rider main event. The main event moved back to the short course and would be a 30-minute plus one lap battle, which ended up taking 41 minutes and 31 seconds for Webb to complete. Haaker jumped into the lead off the start and led the field into the woods and held that spot until he struggled to make it up a tough climb exiting the water fall that would prove to be one of the most challenging obstacles for all the riders. Webb capitalized on Haaker’s mistake to take the lead and quickly opened a small gap on the field. Roman and Young were not far behind as they completed the first lap while Haaker and Lettenbichler were another 20 plus seconds back in fourth and fifth. On lap two, Young and Haaker struggled again on the same hill allowing Lettenbichler to pass both of them and Young also passed Haaker in the melee. The top five remained the same for several laps with Roman closing in on Webb. At the halfway point, Roman began to fall back from Webb and Lettenbichler ended up passing him for second on lap five of seven. This ended up setting the final top five results, with Webb finishing 1:28 ahead of Lettenbichler. Roman was 2:15 behind the leader and Young ended up finishing fourth, 5:17 back. Haaker went a lap down on the final lap but held fifth. Germany’s Manni Lettenbichler was impressive in his first Tennessee Knockout appearance. Photo: Darrin Chapman. 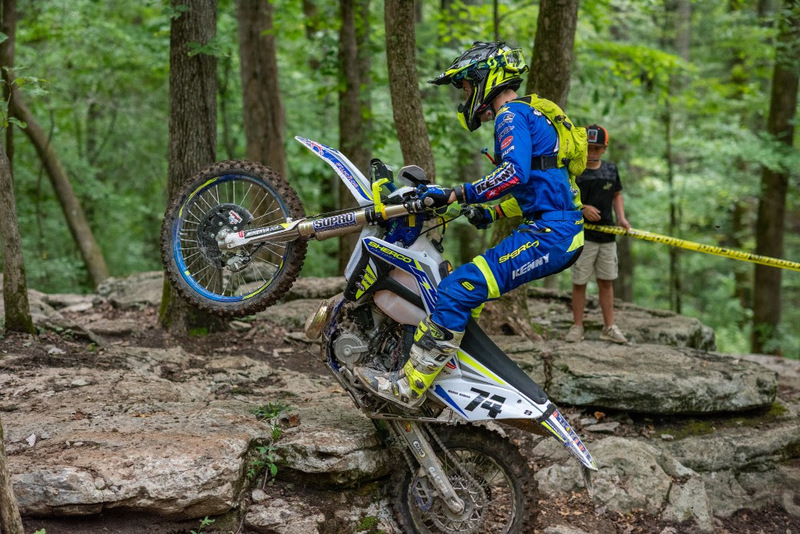 Team SRT-Husqvarna backed Trystan Hart had a pretty quiet day to finish sixth in his first ever TKO. Enockl finished seventh on his GasGas. Tennessee’s Jordan Ashburn finished eighth on his Beta. Ben Kelley took ninth on his Trail Jesters KTM and Chris Satterfield rounded out the top ten on his KTM. Benjamin Herrera Ried, from Chile finished eleventh on a Beta. 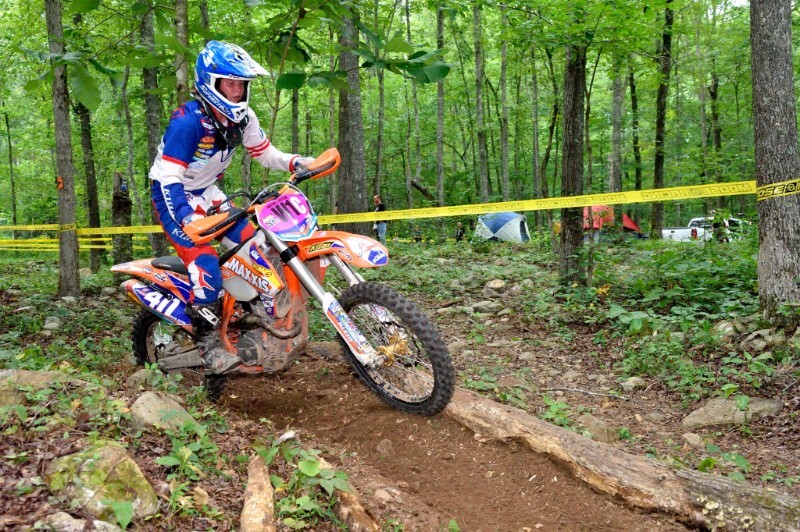 Casey Satterfield (Chris’s brother), finished twelfth on a KTM. Quinn Wentzel rode a Husqvarna to finish thirteenth. Grayson Gonsalves rode another Husqvarna to fourteenth and Chuck DeLullo, a former GNCC ATV Champion rounded out the top fifteen. Beta’s Rachel Gutish (@rachel_gutfish) took the Saturday Women’s class win ahead of Nikki Russell and Allie Dorsey. The women put on an exciting race for the fans as the technical obstacles challenged the riders, but they proved to be incredibly resilient. Keep an eye here on the TKO blog for a video recap within a few days. Complete 2018 TKO weekend results from Full Gas Timing and Scoring now posted here. 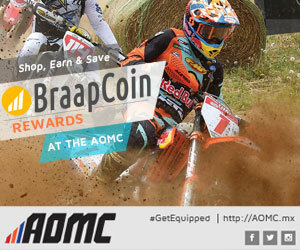 The Appalachian Offroad Motorcycle Company (@aomcmx) is one of the premier motorcycle dealerships and parts/accessories/gear suppliers in the country. 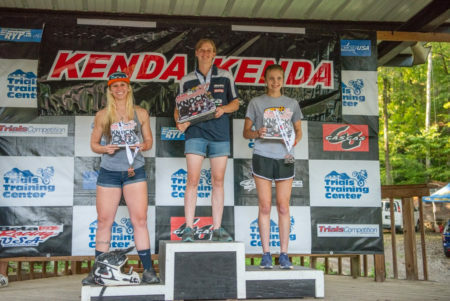 The West Virginia based company has partnered with the Kenda Tennessee Knockout to provide an increased purse for the Women’s class for 2018. The women will be aiming for an AMA Grand Championship #1 plate and a $2,000 purse. The winner will take home $1,000. The top three finishers will also earn the opportunity to compete in Sunday’s pro class. Indiana’s Rachel Gutish (@rachel_gutfish) won the women’s class in 2015 and 2016 and California’s Morgan Tanke (@mtanke31) took the number one plate in 2017. A lot more women have already signed up for 2018 so it should be an exciting event. The women will compete in a Saturday morning qualification round and then their main event will take place on the short course on Saturday afternoon. 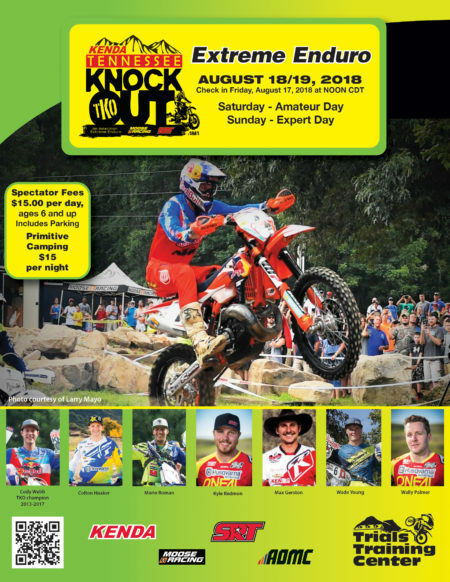 The eighth annual Tennessee Knockout (TKO) will take place on the weekend of August 18-19 with the amateur riders chasing the AMA Grand Championship on Saturday and the pro riders competing on Sunday. 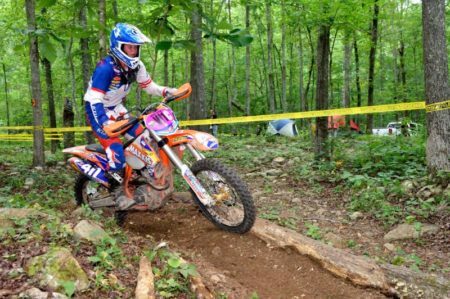 The TKO has become one of the premier off-road events in the United States, attracting the top US and international riders. The 2017 TKO podium included American Cody Webb, the UK’s Graham Jarvis and Spain’s Mario Roman. Rachel Gutish dominated the Women’s class in 2015 and 2016. She is hoping more female riders will come to challenge her in 2017. Photo: Larry Mayo. The 2017 Kenda Tennessee Knockout, presented by Moose Racing and SRT Offroad, will again include a separate Women’s class to compete on Saturday. Women entries will ride a morning qualifier race that they must complete in order to race the Women’s only, multi lap main event on a special short course in the afternoon. 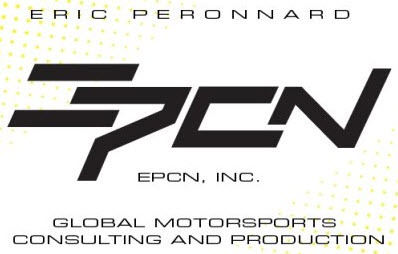 The ladies will be competing for a $1,000 purse to be paid out to the top three finishers ($500, $300, $200 for first, second and third respectively). In addition, the top three finishers will be invited to compete in the Sunday expert Knockout program. Rachael Gutish (@rachel_gutfish) has dominated the Women’s race the past two years but Beta’s Morgan Tanke (@mtanke31) has already confirmed that she will be attending for the first time. Like Gutish, Tanke is a multi-time EnduroCross main event winner and both have proven capable of competing at the top level of tough off-road events, even competing against the men. Women riders can still enter by contacting the Trials Training Center.